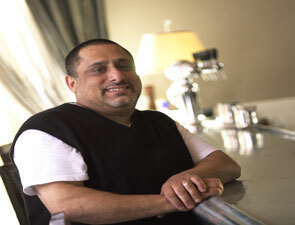 We’ve followed Chef Sammy DeMarco’s career for many years and were deeply saddened when he left New York City. We perked up again, however, when we heard he was making his way to Las Vegas, one of our favorite culinary destinations! Because we couldn’t wait, we recently visited Chef DeMarco and took a personal tour of his new restaurant, FIRST Food & Bar at the Shoppes at the Palazzo, before it had even opened. We wanted to bring you this inside scoop first (no pun intended), so here it is! We’ll bring you a full listing after our next trip. [EDITOR'S NOTE: FIRST Food & Bar has opened. Please click here for the full listing.] If you’d like to read our interview with Chef DeMarco while he was at Fireside in New York City, please click here, or if you’d like a sneak peak at his cuisine you can read about our meal at Fireside. 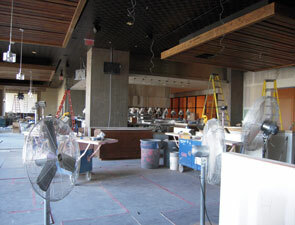 Otherwise, please read below to see how his new restaurant is progressing.